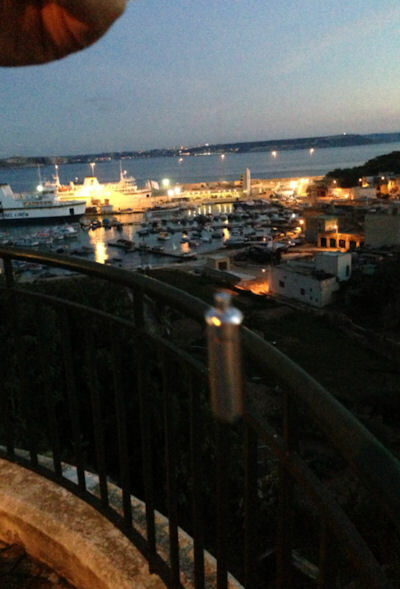 A quick Cache after arriving in Gozo or before leaving on the Ferry. A Bison Tube hanging off the railings overlooking the Ferry Terminal at Gozo. A quick cache on arrival or before departing Gozo, this location offers panoramic views of the Gozo Ferry Terminal and harbour. Just a small walk up the hill from the Harbour. Unatvat qbja bss gur ivrjcbvag envyvatf arne gur jnfgr ova. Yrsg unaq fvqr. Cyrnfr hfr pner ergevrivat naq ercynpvat.